A Belarus firm has developed an upgraded version of the Soviet-era Osa (SA-8) surface-to-air missile system, which features digital components. Along with Ukrainian and Polish defense firms, Belarus enterprises have developed some of the most cost-effective solutions for upgrading and modernizing Russian or Soviet-design military hardware. One of the most fertile grounds for these kind of improvements is the Middle East market. 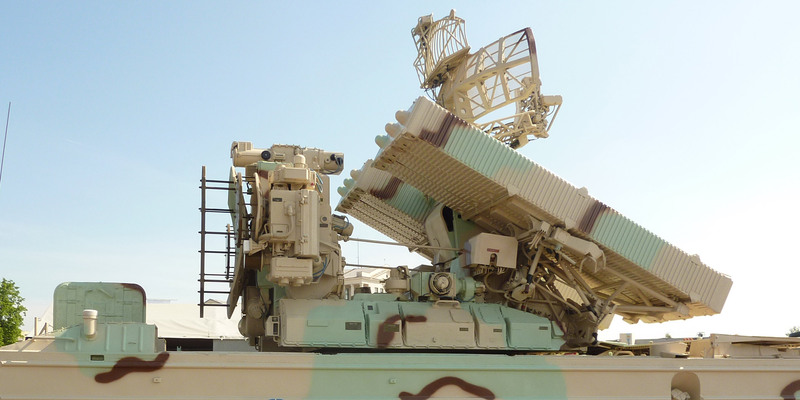 There are a number of weapons platforms that Moscow sold to Middle Eastern nations during both the Soviet era and continuing on into the 1990s and 2000s. One of the most well-known Belarus enterprises in this category is the Baranovichi Aircraft Repair Plant No. 558 (BARP). The factory has carried out overhauls and modernization projects for the Mikoyan MiG-29 and Sukhoi Su-27 operated by several export customer nations. The company also has developed an electronic warfare system designed to be carried in an underwing pod called Satellit. A senior design engineer from BARP responsible for this programme explained that the Satellit was specifically “designed for use on an aircraft external stores hardpoint. But as you can see, this [EW] pod is integrated with a weapons pylon that attaches to the underside of the Satellit. So, the aircraft can utilize one weapons station for both the EW pod and a missile. This system significantly enhances survivability. At present, the company has no plans to make a change to the system’s missile, which will remain the original Russian-design weapon. Other firms in Poland and Russia have proposed new missiles for this platform, but the Belarus specialists stated that a new missile increases the cost of the system to the point where the upgrade becomes hard to afford. The other major development for Belarus is a significant uptick in its defense-industrial cooperation with the People’s Republic of China (PRC). One of the biggest exhibits at this year’s MILEX show was an outdoor display of the Chinese-design Donfeng DF-12 Intermediate Range Ballistic Missile (IRBM). The missile was displayed by the Polonez plant and is going to be license-produced in Belarus under the missile’s export variant of M-20. The emphasis that the PRC is placing on its alliance with Belarus was seen in the composition of the Chinese delegation that attended the MILEX event. The group was led by General Zhang Youxia, who had been the director of the the Equipment Development Department (EDD) of the PRC’s all-powerful Central Military Commission (CMC). As of the end of October, Zhang, who is a lifelong friend and ally of the PRC’s new all-powerful strongman, Xi Jinping, has been promoted to be one of the two vice chairmen of the CMC. “The fact that Zhang was at this small, regional defense show in Belarus—an expo that is much less significant than the much larger shows that take place in Russia—shows just how much importance the PRC attaches to being able to create a footprint for its defense enterprises in this region,” said a Belarus defense official. The Belarus defence export agency, BelTechExport (Stand 582), is exhibiting at this year’s Dubai show. Along with its exhibit stand are several Belarus defense firms offering a range of products to customers in the region.